Special Premium Mat: Approx. 39.1" x 26.5". The Mat is made with premium material, easily to store(Rollover). 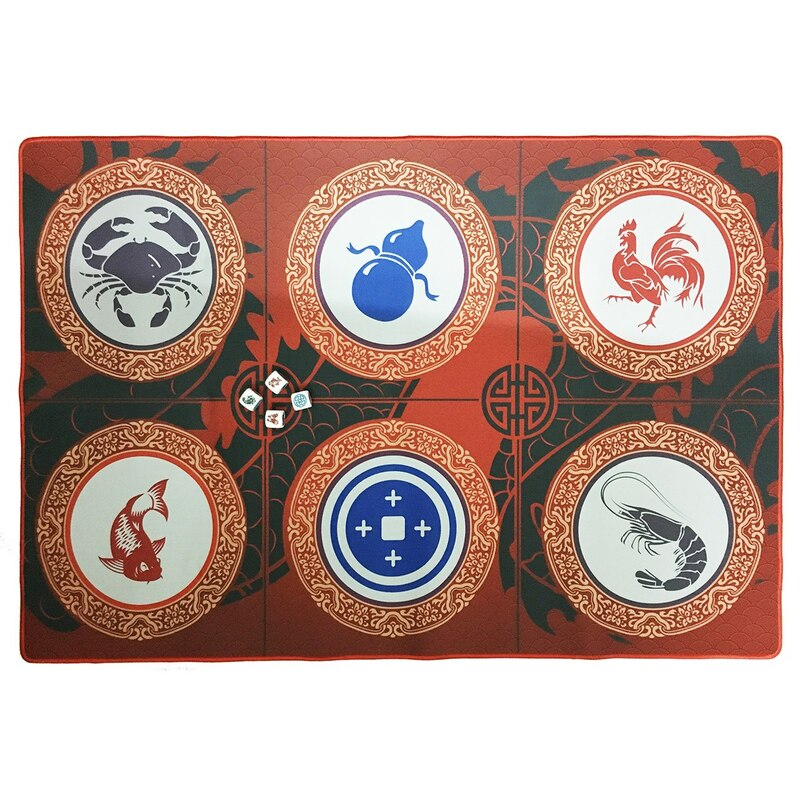 Fish-Crab-Prawn is a classic Vietnamese Gambling game played with 3 dice. Each 6-sided dice contains the following faces: fish, prawn, crab, chicken, coin and calabash. Each Dice Size: Approx. 0.75" x 0.75" x 0.75"(1.8cm X 1.8cm X 1.8cm). Package Includes 4 Dices (1 Extra). The object of the game is to predict which combinations of faces will appear on 3 dice. This is a game of pure luck. The payouts are as follows: 1 face (1x), 2 faces (2x), 3 faces (3x).